Experience - it is our first teacher in life, our early warning system, and our guide to world discovery. Experience connects the inner self to the outer world. It shapes our thoughts, informs our attitudes, motivates our actions. It is the most common mode of learning for all of humanity. Yet, hidden in plain sight, experiential learning is largely taken for granted by educators and researchers. We assume that experience is largely educational. We simply 'learn by doing' - don't we? There is a world of difference between 'doing' and 'doing intelligently'. 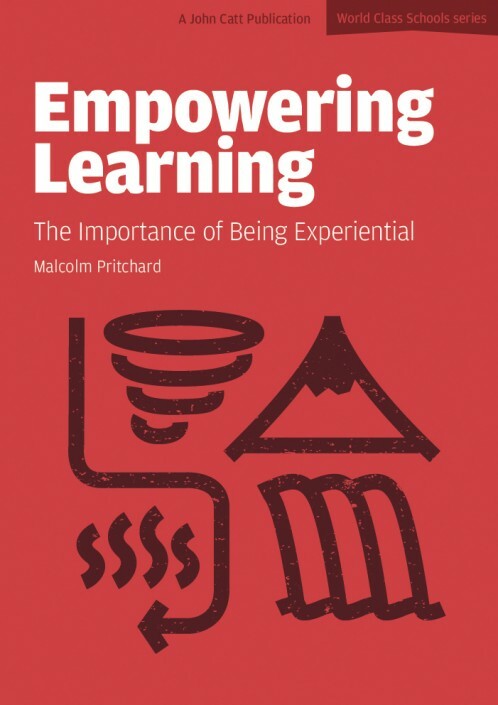 By understanding how experience acts as a mechanism to inspire and scaffold memorable learning, we stand to gain greater control over this most powerful and universal force in human development. Learning, empowered by experience, is life-changing for learners; experience, purposefully harnessed, is transformational for schools. Experience - it is our first teacher in life, our early warning system, and our guide to world discovery. Experience connects the inner self to the outer world. It shapes our thoughts, informs our attitudes, motivates our actions. It is the most common mode of learning for all of humanity. Yet, hidden in plain sight, experiential learning is largely taken for granted by educators and researchers. We assume that experience is largely educational. We simply 'learn by doing' - don't we? There is a world of difference between 'doing' and 'doing intelligently'. By understanding how experience acts as a mechanism to inspire and scaffold memorable learning, we stand to gain greater control over this most powerful and universal force in human development. Learning, empowered by experience, is life-changing for learners; experience, purposefully harnessed, is transformational for schools. Dr. Malcolm Pritchard is a highly experienced bilingual educator, sinologist, ethnologist, and self-confessed technophile. Vocationally eclectic, his working career spans diverse fields including telecommunications, radio broadcasting, information management, military service, and school leadership, all of which reflect his lifelong passion for experiential learning. In China, he pioneered a unique experiential immersion learning program for Australian middle school students. He currently heads one of the world's leading Chinese-English bilingual schools. Dr. Pritchard has publication credits in the fields of Chinese language education, history, and linguistics. He is a regular conference speaker on subjects ranging from international education and cultural conflicts to environmental issues. Holding degrees in education, political science, history, Asian Studies, and Information Technology, Dr. Pritchard wrote his doctoral dissertation on the theory and practice of experiential learning in schools.